Okay. Hopefully you've read Part 1 of my event advice, which covered the question "How do I get [x author] to come to my city?" Welcome to Part 2, which is actually made up of two parts. Part 2.1: How do I find out about events? 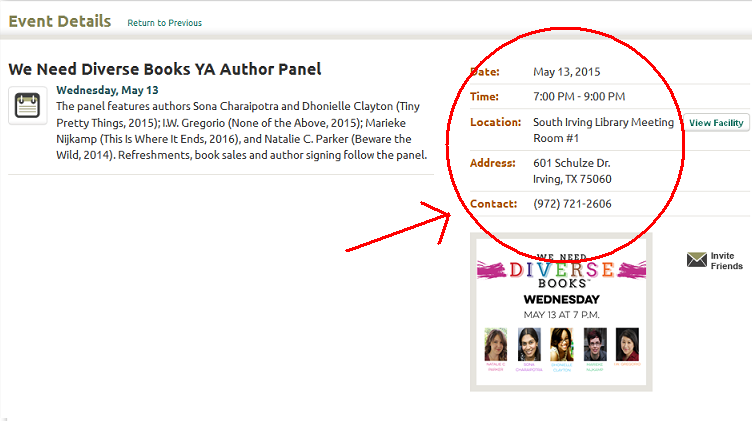 The absolute WORST feeling in the world is when you find out you barely missed an author event like I did when I moved to Dallas and I found out that Michelle Hodkin was here, but I didn't know it, but discovering author events is fairly easy if you put in a little bit of effort on a regular basis. Every few weeks I check the schedules of the bookstores and libraries whose events I've attended before. For me, being a Texan, I look at three separate Barnes & Nobles, the flagship Half Price Books store, and the Irving Public Library, all of which are located somewhere around DFW; Blue Willow Bookshop, Murder by the Books, and one Barnes & Noble in Houston; and Book People, the Book Spot, and one Barnes & Noble in Austin. 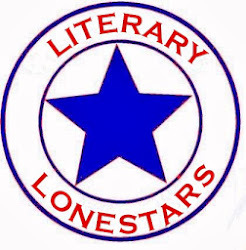 I also check the websites of a couple bloggers who keep up-to-date lists of events around Texas. Also, I generally know when the big festivals and conferences like YAK Fest, TLA, NTTBF, Texas Teen, Texas Book Festival, etc. are scheduled. 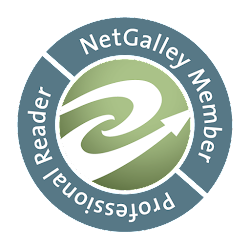 I have previously looked at author's websites directly to see if/when they were coming to visit. This method helped me discover events near me with Cassandra Clare, Elizabeth Eulberg, Meg Cabot, Richelle Mead, Emily Giffin, and others. This method isn't always foolproof, though, because sometimes authors' event lists don't get updated a whole lot, but it's a good alternate. 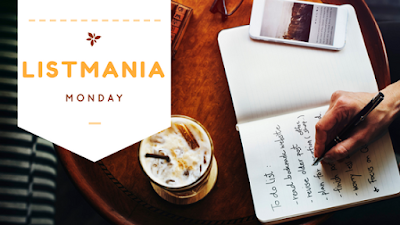 Keeping up with social media can also be a help. Fierce Reads keeps up with their blog and has a specific website for the Fierce Reads tours. Epic Reads now keeps a list of all upcoming events for Harper authors. Bloomsbury created tumblrs for this year's Boldly Bookish tour and last year's First Loves tour. Plus, all these publishers and authors regularly post their upcoming events on Facebook, Twitter, Instagram, etc. 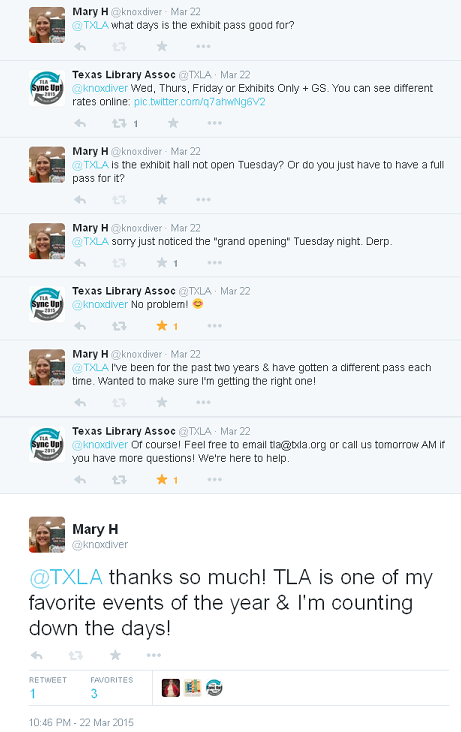 You can also follow accounts for bookstores and libraries near you that host events. Part 2.2: The event is scheduled, and I want to go. The first thing you NEED to do is check the event website. This is where you are going to find 90% of your information. I don't care if you're going to a one-author signing at a store or library or if you're attending ALA, BEA, RT, TLA, YALL fest, LA Book Festival, NTTBF, Texas Teen, etc: check. the damn. website. If for some crazy reason you can't find what you need on the website, I'm gonna be brutally honest here: you are probably doing it wrong, whether you are not navigating the website correctly or (sorry) you might just be too lazy to check thoroughly. Store and library websites will give you as much info as they have. 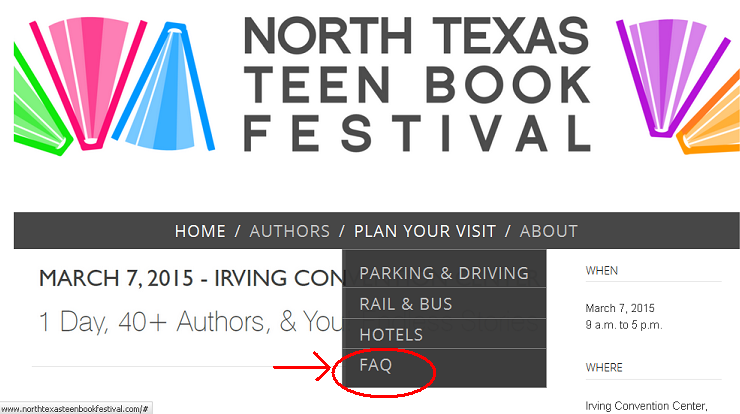 Festival and conference websites will give you everything in waves as they confirm more details, but they almost always have FAQ sections you can check. The info IS there. These places and organizations WANT you to attend their events; there is no benefit to them to hide event information. If you're still having trouble, don't ask a friend. 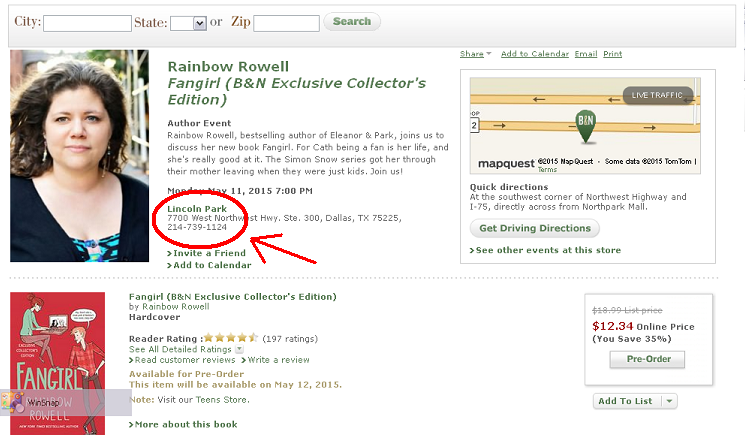 Either pick up the phone and CALL the store/library or EMAIL or TWEET the event organizers. Phone numbers, social media accounts, and other contact info WILL be listed on the website. Talking to your friends, even if they are event pros, is only going to get you so far. 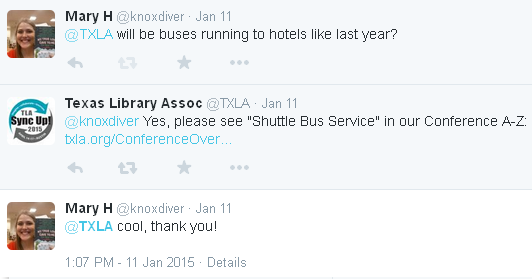 Talk to the STAFF, and they'll be able to give you the right information for that event. It's literally their job to help you, PLUS if you are extra nice, they also might share some insider info! Remember I mentioned the CRMs at Barnes & Noble? Great person to talk to because they're the one's who arrange author events at the store. Any manager is going to be a good choice. If it's a library event, the whole staff will know what's going on, but if you need the organizers, ask for the teen services team (for a ya event, that is). I can't tell you how many questions I've had answered just because I called a store (especially if it's an event I know will be super popular or in a city I'm unfamiliar with) or tweeted to the event, and a few weeks ago, author Kristin Rae called my library asking for info about Jenny Martin's Tracked launch! If you're not a talk-on-the-phone person, again, feel free to utilize social media to interact with the store/festival/library/conference. 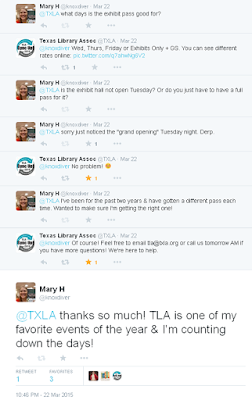 Below are some examples of questions I had for this year's TLA conference. Even though this was my third year, I still had questions about the specific organization and I wanted to make sure my information wasn't outdated. Please note, I always always always always always say thank you! Politeness will get you everywhere! 1. Is this a registered event? →If no, is there a ticket required to join the signing line? See question 2. →If yes, does registration cost anything? If yes, are there any applicable discounts? 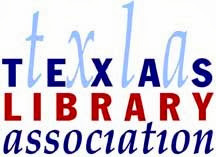 Are there any "extra" events not included in registration that require additional purchases (ie the Texas Tea at TLA)? 2. How do I obtain a ticket/wristband/number for the signing line? When will tickets be available? →sub-question: If I am unable to pick up my ticket in advance, can I preorder one to pick up at the event? Can I send someone to pick up my ticket for me? 3. Do I need to purchase a book to attend? I'm gonna go ahead an answer this with another pro tip. Pro tip: You may not need to purchase a book to attend the event (meaning the panel/q&a/reading part), but the purchase of at least one book may be required for the signing line. Also, it's a courtesy to the author for visiting AND the venue for hosting to at least purchase the front list title (aka the book being promoted). 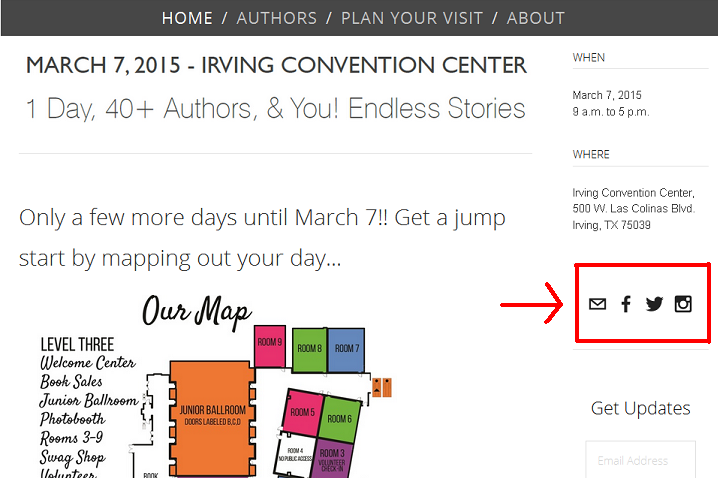 Event book attendance and sales are one of those ways publishers figure interest in an author. More attendees + more book sales = better chance [x author] will return to that store/library/city/state/region! 4. Is there a book limit? Is that limit per person (ie 3 books per person, period) or per book purchased (ie 2 books from home for every book purchased at the event)? Is there a limit to the number of books I can get personalized? *I'm going to talk about this question in more detail in part three. 5. Are pictures allowed? Will they be posed (meaning attendees can go behind the signing table) or "on the fly"? 6. Where will I be able to park? 7. Do you anticipate a big crowd? This is helpful if the venue holds many events, and the staff is experienced. They may be able to give you advice about how early you should arrive to get a seat or a ticket if they pass those out at the event itself. 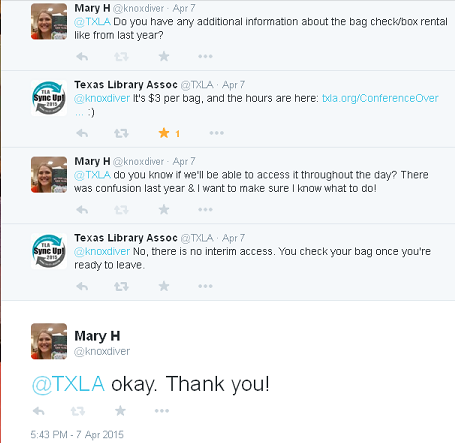 TL/DR: Find out as much info as possible, and find it using PROFESSIONAL sources! Stay tuned for Part 3! If you have any questions or comments, please let me know!